Last Saturday was a very big day for all of us. It was the day where all of the research and work that we had done in the past three months culminated to a big Research Symposium. During the Research Symposium, each research group gave presentations about their research, booths, and posters. This was a little different from the presentations we did during Parent’s Weekend because we were presenting all of our work to people who could look at our results and make change in the Bahamas, and in the world. The Bahamian Minister of Environment attended the symposium as well as Friends of the Environment, BREEF, and many other NGOs. To see these people listen to and think critically about our research made me appreciate and feel proud of all of the work we accomplished these past few months. It was especially exciting for me because as part of the Conch Research Project, one of the leading conch experts, Catherine Booker from Community Conch, attended the symposium. It was incredible to see the author of many of the research papers I had read right in front of me, but that strange feeling gave me pride in the research I had done this semester. After the Research Symposium, we had a little bit of down time, but afterwards, we went to a nearby settlement called Tarpum Bay for the presentation of the visiting National Geographic Photo program. But the highlight of the night was when we took part in the Junkanoo. In a Junkanoo rush-out people dress up in their traditional Junkanoo costumes, full of bright and vibrant colors, and they played loud beats from the drums and the cowbells. All of the Island School students, in addition to the visiting programs that came with us, were dancing to the beat, jumping, and having a great time. 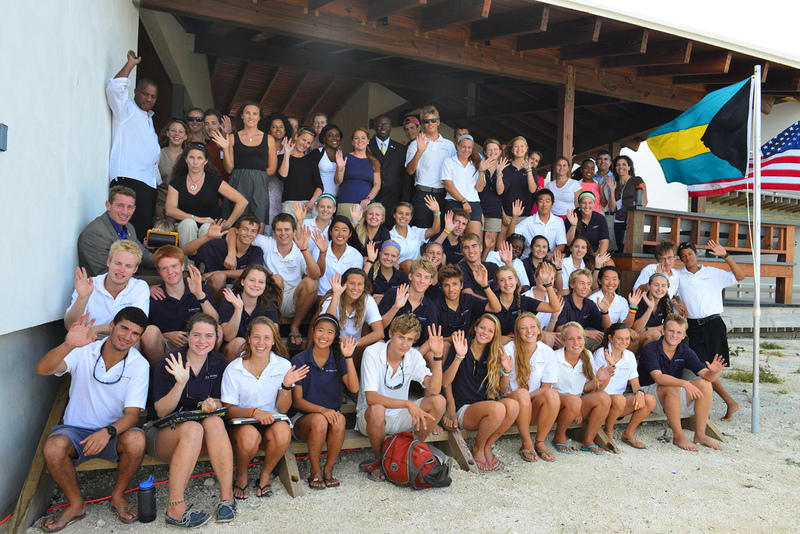 It was amazing to see the people of Tarpum Bay, the Island School, and visiting programs come together during this celebration.